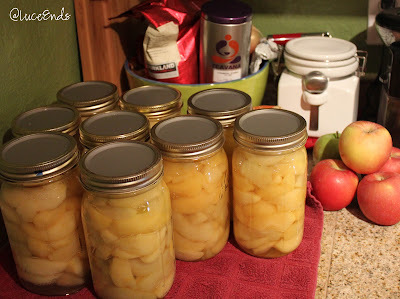 Since I got my own canning pot and have accumulated quite a few canning jars I was really wanting to can apple pie filling this fall. 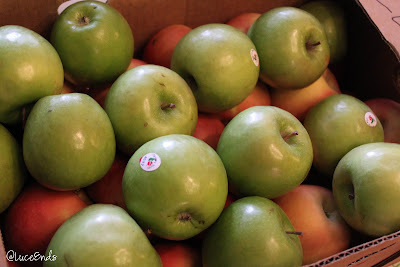 Last week Tom's mom and I went to Remlinger Farms in Carnation where I was able to find lots of great produce, including 26 pounds of Granny Smith and Fuji apples, a much better price than at a grocery store. I knew I needed to find a product called ClearJel, a starchy substance that doesn't break down in the boiling process, to go in the pie filling mix before I started canning. The lady at Remlinger told me she was out but that I should be able to find it at Safeway. Riiiiiiiight. I checked Safeway, Top Foods, Albertsons, and QFC. None of them had it or appeared to have carried it recently. The clerks all told me I was looking for fruit pectin, something that goes in jams and jellies, which I knew wasn't right. I did a little more research and made a few calls only to find out that it has to be mail ordered, and the companies (including Amazon) who carry it ship 5 days after you place the order. That was not going to work with my apples' life expectancy. 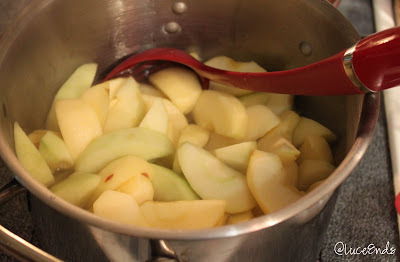 I looked through my canning book again and decided I'd just can apple slices to later be made into pie filling. I spent 2 afternoons washing, peeling, slicing, and coring. Once I had all the slices ready, I soaked them in lemon water to prevent browning, boiled them for 10 minutes in a light syrup, and funneled them into jars to process for 20 minutes. I ended up with 9 quart jars. 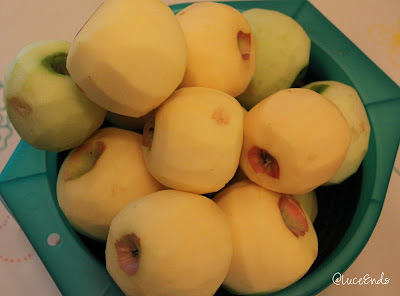 One quart is perfect for an apple pie filling!